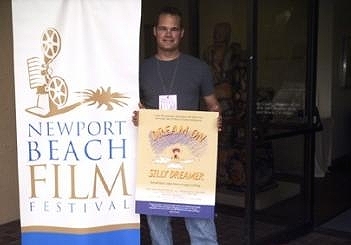 Directed by animator Dan Lund, the 2005 documentary Dream On, Silly Dreamer tackles the predicament of traditional animation. The 40-minute film takes an inside look at a medium once deemed “dead” by mistaken executives. Thus, Silly Dreamer projects a solemn message: traditional animation is, by far, not dead – nor should it be. 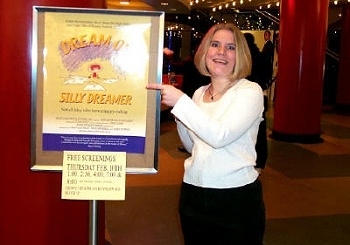 With Minneapolis chosen as the destination for the annual Disney shareholder meeting, where better to make the U.S. premiere for a film like Dream On, Silly Dreamer? Another sharply critical look at “Corporate Disney,” shareholders were urged to attend its free screenings the day before the annual meet took place. Meanwhile, native director Dan Lund “came home” for this event. Playing to full-house audiences each and every time, Dreamer‘s screening was a great success. I knew the Hard Rock waitress was really only feigning interest when she asked us initially – it was likely just part of her job to be amiable. Though when we divulged where we were going after dinner – and why – she was genuinely taken aback. I explained to her what the documentary was about, and she, unsurprisingly, was in the dark. She was genuinely appalled upon hearing that Disney had shut down its entire traditional animation facilities, but her reaction was, in my experience, quite typical. The waitress is just a microcosm, a sampling of the public’s awareness and attitude towards the news that Disney’s tradition of hand-drawn animation will be no more. Though the events did not go by without press, they passed without notice all the same. The gravity of the situation has never been fully realized, nor appreciated – most especially by the vast population residing outside the animation community. Most will still be unaware for quite some time, yet. Dreamer documents the rise and fall of Disney’s last tumultuous decade of feature animation at a very personal level. Partly satirical, the film is formatted in the style of the original Winnie the Pooh featurettes, opening on an animator’s chaotic workspace, a very Sebastian Cabot-like narrator booming out, “This could be the office of any business worker; but it just so happens to belong… to an animator.” A sketchbook is then used as the “storybook” with which to outline the events that follow, occasionally offering amusing interstitials of original animation. Though there is a smidgen of narrative, the majority of the film consists of interviews with Disney’s true heart and soul – the artists, animators, and fantastic story-weavers that give their all for their work. For the layman, the film makes brief asides on the actual process of cel animation, as well as the variety of specialized tasks that are required to attain the finished product. The film is largely retrospective, though; several members of the Feature Animation crew – from the distinguished Andreas Deja to humble clean-up artists – look back both fondly and bitterly at their brief moment in the sun. Chronicling the all-too-short “Renaissance” period of the early 90s, Dreamer shows how, when more-or-less ignored by the Disney company “suits,” these talented artists were able to craft the “Fab Four” masterpieces – The Little Mermaid, Beauty and the Beast, Aladdin, and The Lion King. As each successive film gained more and more at the box office, the animation crew experienced a sudden “boom period.” The studio suits – now realizing the value of their “human resources,” showered them with praise, catered meals, and gratuitous bonus checks of $100,000. Some of it was a bit tiresome, like the paraphernalia perks that came with each project (“Great, another hat”), but on the whole it was certainly a great time to be a Disney animator. But that time was much, much too short; already the clouds were gathering. The company management were so giddy with success, they constructed a giant, brand-new animation facility – the now-infamous “Sorcerer’s Hat” Feature Animation building in Burbank, California. 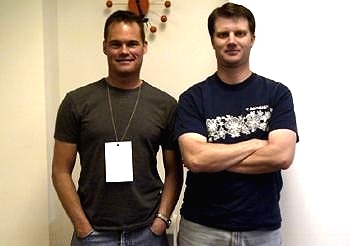 While the “suits” were quite satisfied – sweeping the animation crew out of their “trailer park” offices and plunking them proudly in their new “home” – the animators themselves were less-than-enthusiastic. The new building was just too large, too cold, and too divided to experience the closer, more personal approach to film production that they were used to. One worker cheerfully described it as a “post-modern gas chamber.” But this building was what they were stuck with, and they continued work as usual. The high-living Disney crew were also quite unaware at the time of the double-edged effect that the runaway success of The Lion King would have on them. Other studios observed this lucrative resurrection of animation and, needless to say, they wanted a piece of the pie, too. Several other high-powered studios began trying their hand at animated films, giving Disney competition as well as “flooding the market.” The very same trend in CG animated films is happening at present, due to the runaway success of a little studio called Pixar. Then, of course, there was the small issue of Jeffrey Katzenberg’s bitter exit. For a time, this meant a plus for the artists as Disney and the new DreamWorks studio duked it out in “bidding wars” over staff talent – Katzenberg trying to lure Disney’s artists out, while Disney CEO Michael Eisner increased their wages to encourage fidelity. Things became so sticky that many artists resorted to agents and lawyers. But external damage was not the only price of the Fab Four’s success – it was also eating away at Disney itself from within. Caught in a company rivalry, and equipped with a suspiciously grandiose studio (which some felt functioned more as a “pretty face” for the company to flaunt rather than a practical production facility), soon the crew would be faced with an onslaught of suit-and-tie types. As an aside, I jokingly muttered to my friend during the screening about the “VPs of the VPs of the VPs,” when lo and behold, Dreamer touched cynically on the very same thing. Artists reminisced in their interviews about the very real tallies of Vice Presidents at the time – and the sum of thirty would not be unrealistic. Now having a strong desire to create more blockbusters and more Oscar nominees, management descended upon the artists in an effort to “streamline” production, calculate a formula for success, and keep the lucrative product… err, art… flowing. It was at this point that things really spiraled. Films became all about numbers, and business-oriented staff slowly started to overtake or dominate the jobs of the artists. Visual development disappeared in favor of starting with a script. Every step in the process had to be submitted for approval by some head or another. 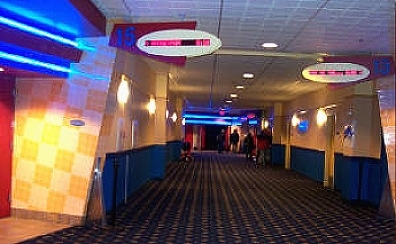 Films went into production before having a solid story base, and wasteful, expensive production overhauls became common. A gnawing, stressful sense of suppression started to build. By this time, the artists were helplessly caught in a whirlpool of the company’s own making. Micro-managed, short-leashed production lead to sub-par films, which lead to lower profits, then lower pay and, ironically, a tighter chokehold on the animators. For nearly ten years Disney’s Feature Animation grew weaker, while the suits began the brilliant idea of producing direct-to-video sequels (affectionately called “cheapquels” by critics) to some of their most popular films for a fast turnaround in profits. And eventually, the inevitable; due to such vicious cannibalism, as well as the repeated success of CG-animated films (made by Pixar – a studio that let the artists produce the film themselves – imagine that! ), Disney made the decision to “cut its losses.” On March 25th, 2002, animators attended a grim company meeting. There, then-President of Feature Animation Thomas Schumacher dropped the bomb… telling the artists that they had been “let go.” It was ruthless and abrupt. The highly-talented crew of Disney Feature Animation were given a severance package and a few months. Simply put, they were history. At least in the eyes of Disney management… which were now focusing on establishing their own CG production facilities (which oddly enough, they already had just a year or two before – something called The Secret Lab – though it mysteriously disappeared). The company wasted no time in closing down their other production facilities in Paris, Tokyo and Florida, eliminating nearly 1300 jobs in the process. To this day, the only traditional animation studio left is DisneyToon Studios in Australia – and they are used solely to make direct-to-video spin-offs. Many highly-skilled artists have now been set adrift in a harsh sea, fighting against the withering mentality that hand-drawn animation is now “obsolete.” Though there was great protest amongst the community of “cartoon nuts” that cared, these tragic events went largely unnoticed by the general public. Little do they know that they will soon be inundated with mass-produced CG-animated films, as the opportunistic film studios enter the fray with their own offering. Time will tell which of these entries will stick, but as a result of this wave, CG animation will certainly lose its novelty. The appeal of a committee-produced story is assuredly limited, and one can only hope that the charm of a well-told tale will shine through these grim times. Dream On, Silly Dreamer, a relatively short piece at 40 minutes, set out to put a human face to the situation – to show the many victims of such a sweeping, obliterating action of a powerful few. The film succeeded in spades. One can only hope that this fairy tale is not yet over. Dream On, Silly Dreamer played to a sold out crowd at the Orange County Museum of Art. Filmmaker Dan Lund was there in person and it seemed as though he was personally greeting just about everyone there. The film, which chronicles the laying off of approximately 1300 hand-drawn animators in 2002/2003, starts off talking about how much fun animators had working at Walt Disney Feature Animation. One’s knee-jerk reaction might be to think, “So, why are these animators whining about getting laid off from a job that was nothing but fun? Work is supposed to be work.” But the film also depicted how hard these animators really worked to turn out quality product mentioning that some days they would get off work at midnight only to return to work the next day at 6am; sometimes they just slept in their animator’s trailer overnight. When the creative talent of Disney was left to their own devices with a minimum of executive meddling they made great movies and they were also willing to put in long hours without extra pay because they were devoted to their craft. But when the suits got greedy, started playing Big Brother, and began choking the system with red tape, then things began to slide. The biggest business-related tragedy depicted in the film is that the executives could not see the end result of their actions. They made it harder and harder for the creative talent to do their jobs and then when quality began to suffer they said to the creatives, “Looks like we don’t need you anymore.” When CGI films like Shrek and Ice Age from competing studios performed well at the box office, Disney execs strangely assumed that Disney films must be failing due to being hand-drawn and never made the connection that Disney films were actually performing poorly due to intensive and unwarranted executive meddling. The film and Dan Lund’s comments in the Q&A session afterwards crystallized some of the thoughts I had had about the rise and fall of Disney animation. When the “Big Four” movies of The Little Mermaid, Beauty And The Beast, Aladdin, and The Lion King were released there was no obviously discernible release schedule. After those four films, however, the big feature animation films were put on a schedule of being released every summer and an element of humdrum routine began to set in, while the element of Disney films being “events” that stoked the collective imagination of society dissipated away. Apparently they even had plans to ramp up to producing two big budget animated features a year in the vain expectation that the earnings curve created by the Big Four would continue to increase ad infinitum. In all art there may be some element of science, some tedium, some methodology, some rigor and order to the approach, etc. But trying to reduce art to nothing but a science is impossible and insisting that it can be done will only produce tragic results. The tragedy on top of the tragedy depicted in Dream On, Silly Dreamer is that Disney management is still too blind to see where the blame lies. One of the last scenes in this film was a clip of animator Andreas Deja saying he believes hand-drawn animation will eventually return to Disney. Dan Lund expressed the same belief. I’ve also been told that Brad Bird believes all the current emphasis on CGI to the utter exclusion of hand-drawn animation is proof that the studio executives are just “going through a stupid phase”. Maybe it’s simply a matter of riding out the “stupid phase”.